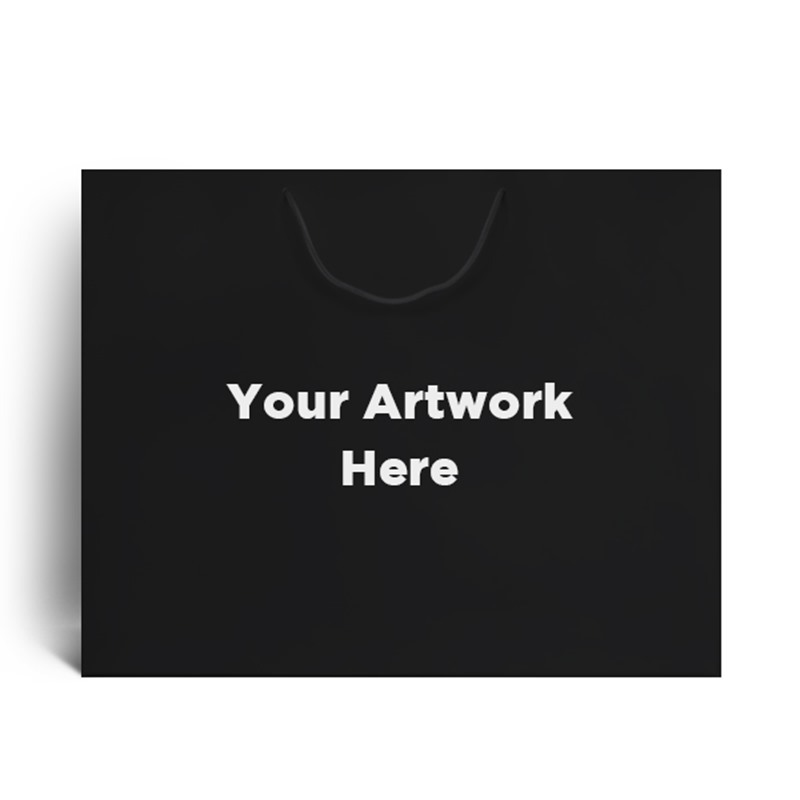 Often seen in high end boutique stores; these Black Matt Laminated Bags offer a touch of luxury to any product. They are also often used as a promotional business tool as they are widely customisable and the finishing options are huge. 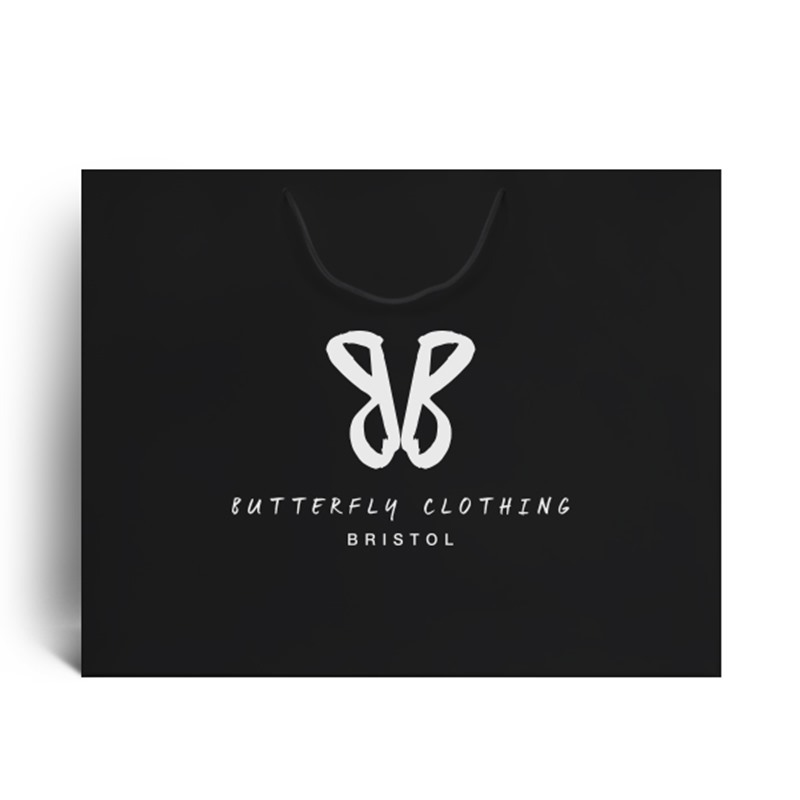 Whether you go for a simple classy foil block or go all out with a full colour gloss laminated logo, with internal printing an option is available for you. Kraft paper, Art Paper, Bristol Board, Ivory Board or Brown Kraft paper from 130gsm to 250gsm. Litho print 6 colours maximum. Internal printing on automatic available. Die cut handles, PP rope, Cotton rope, ribbon, poly tube etc, gloss/matt lamination, gloss/matt varnish, hot foil stamping, embossing, , de-bossing, spot uv, base card printing, reinforced metal grommets for rope handle holes, trapezoid shape, PVC windows.